For many years I have been fascinated by the stories from one of greatest civilization in the World – The INCA. In today’s conversation we will follow the period before and after The Incas. As I believe there is a strong connection with the development of arts and culture of the Peruvian people of today. We should as a group explore this and look into other possibilities of finding the connections of the hidden secret of one of the greatest civilization of the World. 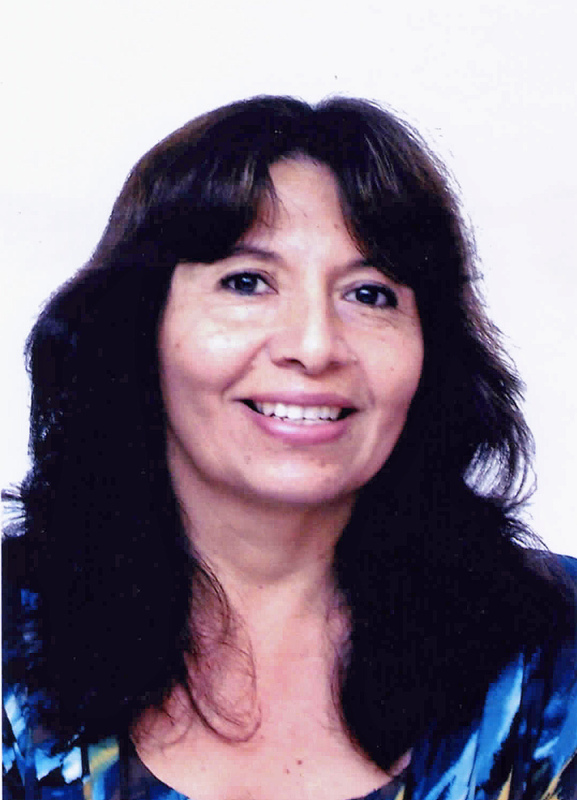 I am joined today with my next guest who is already known to us for her active involvement in our monthly theme exhibition, Herminia Haro Guzman will talk about the finest works of ceramic collection which continues to be passed through generation of families and tribes of Peru. 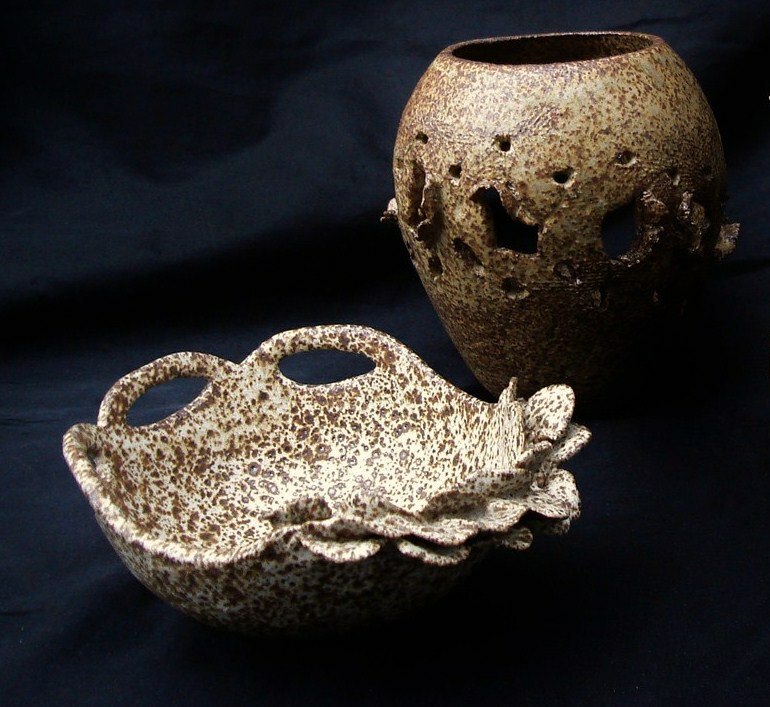 The tradition of ceramic artefacts produce many years ago continue to be a skill that has found its place in today’s modern world. Sunil – Which period from your traditional cultures do you believe influenced your work the most? Herminia – well Sunil, it is difficult to choose just one. From Mochica Culture I love the realism and sculptural presentation of their work, that let us know how was their life. 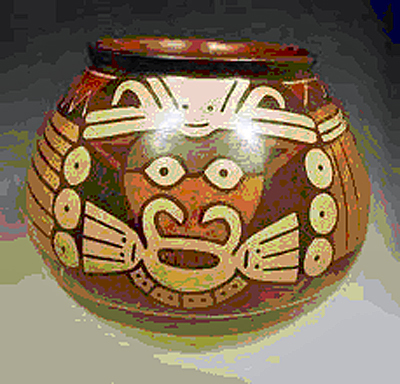 From Huari Pottery I rescue the use of symbolism in their geometrical designs, the representation of faun in their modeling and the use of earth colors. If something defines my work is the open spaces I use on my designs, that’s an influence of stirrup holders of most Peruvian traditional pottery. Sunil I see you have been influenced by the best of all the different period for what they represented as part of your cultural development and also see that through your work we are witnessing the living example of the quality of refined work for which Peruvian ceramic art was once renowned. I am delighted to able to see your ceramic collection and I must emphasis how important your work will play in influencing today’s modern ceramic artists in both South America and new emerging artists over here in the West. Q2. Sunil – Is the tradition of ceramic pottery still important in your culture? Herminia – No! Sunil, unfortunately the tradition of ceramic pottery hasn’t had the importance it had in the past. After the invasion of the Spanish conquistadors, more than 500 years ago, original cultures were avoided and gradually almost all that knowledge vanished. Only a few small towns persisted doing pottery, maybe their geographical situation and difficulty of access was to be blame for this. Q3. Sunil – Is the ceramic pottery art taught to school children as part of your cultural development? Herminia – .No!, again, Sunil it’s a shame but traditional cultures history is not been taught in the schools as a part of the course on Peruvian History. Their knowledge is not used in Peru. 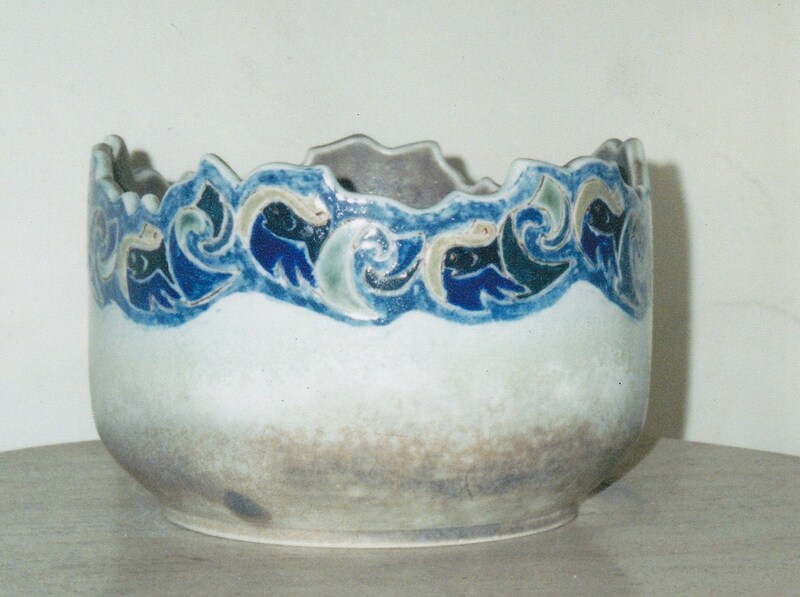 The few towns that still make pottery don’t use the same techniques as traditional the cultures did. Q4. Sunil – Do you believe Peruvian pottery has a role to play in the future? Herminia – Sunil of course, Peruvian pottery reached a high level in design and beauty and deserves to be known by the world. Artist must be aware of it as well as they’re aware of antique world cultures. 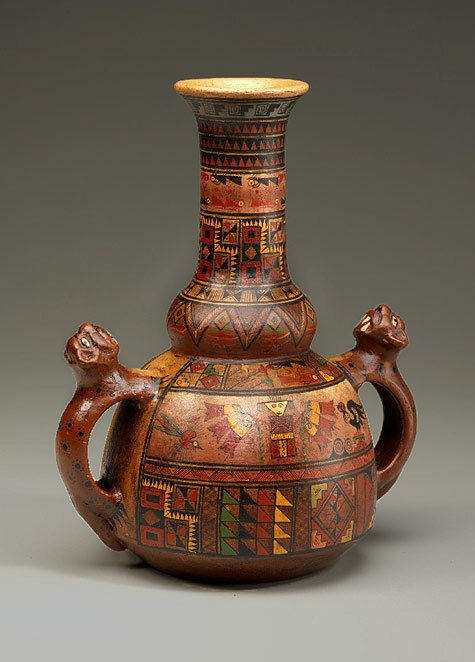 Being an inspiration to contemporary creativity would be an important role Peruvian pottery would reach. Sunil – I am in strong agreement of the cross roles that Peruvian ceramics as artifacts and designs can play its part overhere in the West including the new emerging markets of Dubai, India and China. Q5. Sunil – Could you describe yourself in three words and one to be a colour? Herminia – I am happy to firstly sensible, loyal, blue. This is what describe your personality and characteristic about yourself that people close and good friends find in you. Blue usually indicates femininity, life, purity, etc., just as water does. Blue symbolize Peace, calm, stability, security, loyalty, trustworthy, confidence, conservatism, cleanliness and very orderly. Q6. 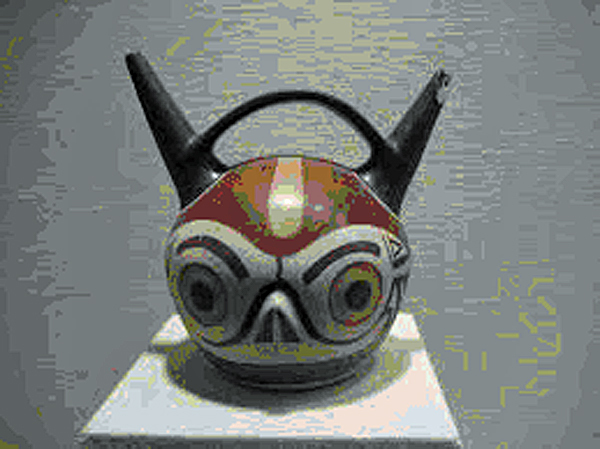 Sunil – If you had the opportunity to play a major role in the development Peruvian ceramic art. What would you like to do to make a big change that we can influence involving Globalization ICAS? Herminia – Firstly if we could help where possible to help in the recognition of traditional Peruvian pottery to be high level and its promotion to the world as well. In fact, this issue must be a Peruvian government politics. Maybe we, the member of Globalization ICAS could take this challenge and together as an organization that represents interest of all arts work towards the rescue from the forgetfulness the Art of ancient cultures like to Peruvian one, promoting them with our own work. 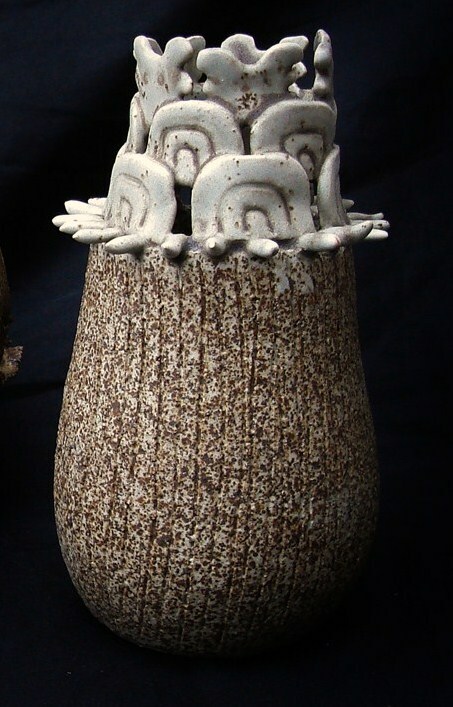 Just one of the possibilities is to help rise Peruvian pottery as working together we could affect change. Sunil – Herminia our interview today will send a strong message around the globe and you have my complete support to do all that is possible to influence the changes in International Art market to make plans for both Peruvian Art and for the ceramic collectors to realize the importance and their true values that in its own right it deserve and I believe overtime become priceless works of Art. Our immediate plans are to start working with dedicated members including Museums, Institutions, and galleries in Peru and here in the West to play a role to make this dream a reality to safeguard the future and develop the demand of Peruvian ceramic art. 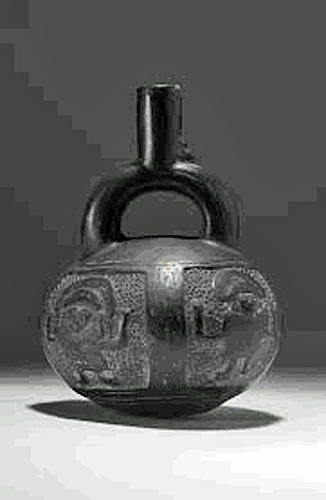 The oldest pre-Inca culture in Peru (1500 BC. – 300 BC. 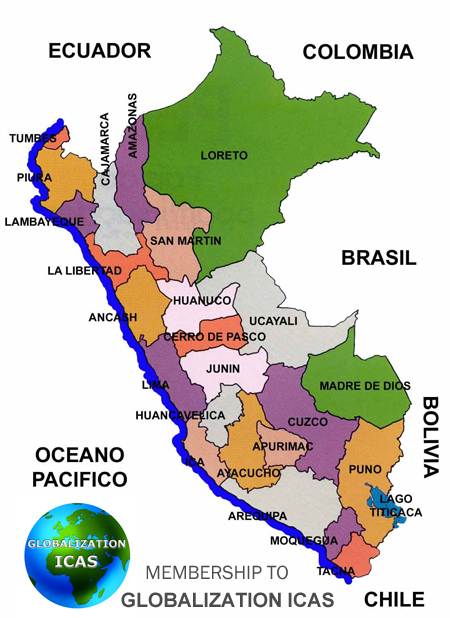 ), they inhabited on the Andean basin of the MarañónRiver and the “Callejón de Huaylas”. Its main cultural centre was “Chavín de Huántar”.It was a wandering nation, of great cultural and religious influence in other contemporary cultures of the coast and mountain; its influence area reached from Tumbes to the north, Nazca to the south, and the wild area to the east. In the early age of this culture, it was a wandering town of hunters and collectors; then it became urban, with development of agriculture, cattle rising, metallurgy and an incipient textile technique. It was a town of religious and warrior organization. Their ceramic frequently in a globular shape worked by hand with very fine clay. 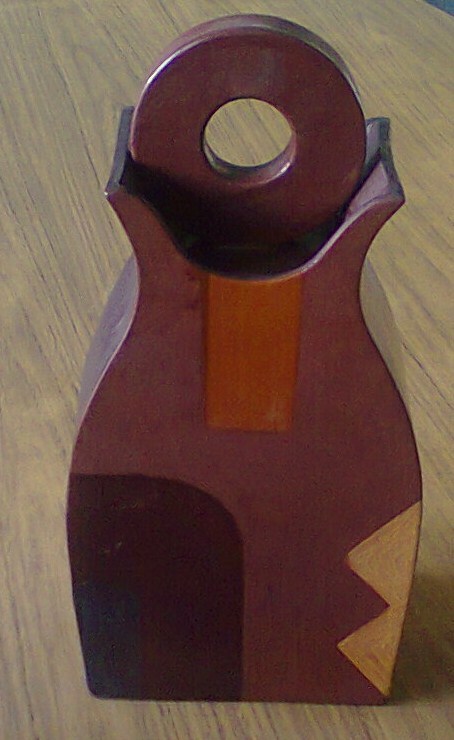 Defined shape, right necks and handles like stirrups. They used the black and gray colour, outstanding decorations with incisions and figures in relief, in which the permanent presence of drawings of a deity in feline form with bird claws; of inferior technique in comparison to other Peruvian cultures. 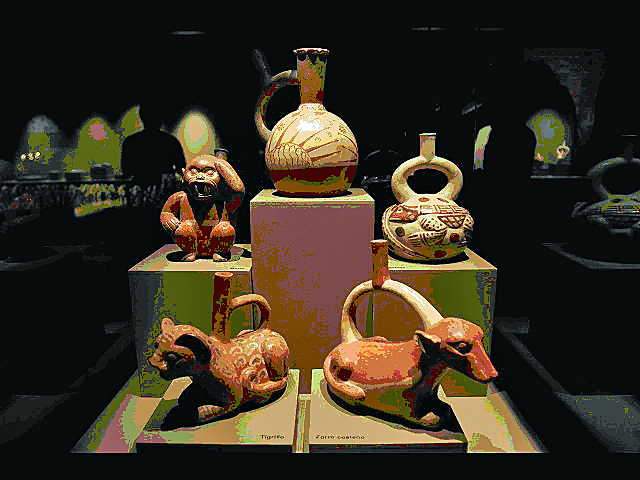 The searching of primary Peruvian ceramics came from the coast, from 1800 to 1300 BC. Their use was not only for utilitarian purposes but for rituals and funeral exequies. Refined shapes and styles were developed in ceramic totally different from the antique world, achieving a high artistic level. Different hand-made methods was used, such as modeling, pallet, moulds and the decoration was based on mineral and vegetable pigments. The Chavin culture was a civilization that developed in the Andes of the North of the coast of Peru between the years 900 BC to 200 BC. The Chavin culture was developed in the formative stage of the history of the Peru and belongs to the cultures of the first Cultural horizon and from the south coast – Paracas. 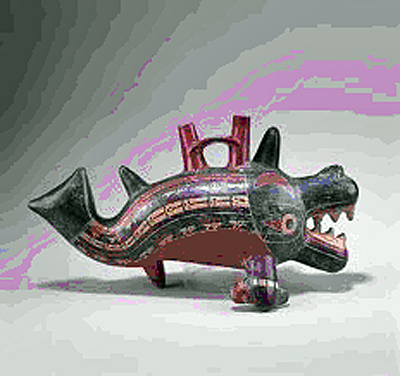 CHAVIN CULTURE – The representation of Jaguar is one of the principal characteristic in their designs as well as its sculptural and narrative tendency and its chromatic sobriety. 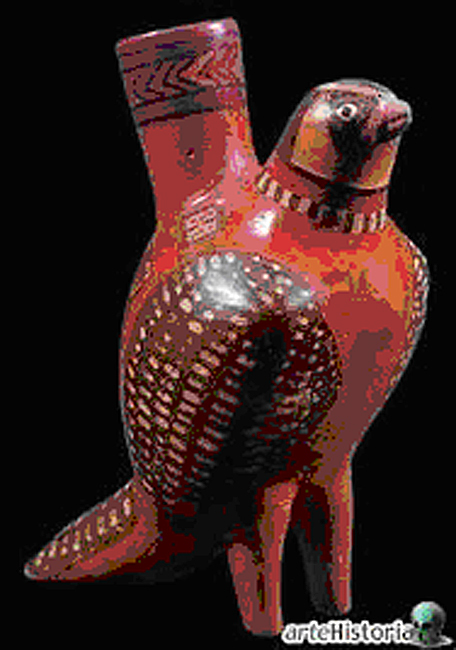 PARACAS CULTURE – This ceramic was more singular, with a variety of modeled shapes and well-recognized for its polychronism. 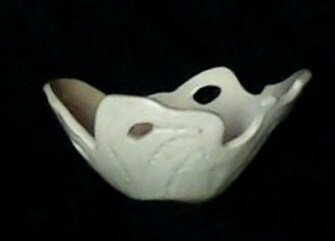 MOCHICA CULTURE – From the septentrional coast of Peru this culture inherited the Cupisnique tradition on pottery, based on globular bodies crowned with stirrup holders. The predominant colors were ochre, red and yellow-white and developed complex, mythological fantastic figures. The cleanness of their trace allows an easy reading of the represented scenes. In terms of evolution we must say that in early phases the sculptural ceramic dominated but at the end of its development a more colorful tendency is evident. – Localized in the extreme north of Peru. They share stylistic strokes with Ecuadorian cultures. Characteristics of this culture are the double body pottery usually joined with a bridge holder and its rudimentary appearance. 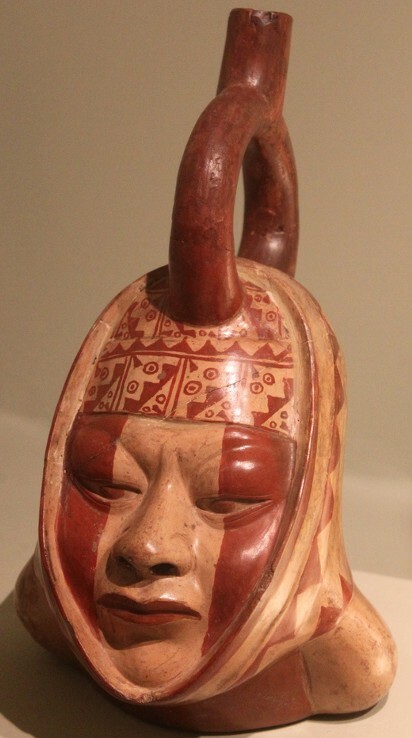 NAZCA CULTURE – From the southern coast of Peru, they inherited Paracas tradition and reaffirmed local tendencies developing a high level in polychrome, then in the intermediate phases their characteristic style was known for the variety of symbolic elements like head awards and fantastic figures. As the final of its development their motives turned more abstract and difficult to identify. From 700 to 1100 AC. Its origin is from Ayacucho and it’s defined for the Huari Culture. HUARI CULTURE – Inherited Nazca and Tiahuanaco tradition. 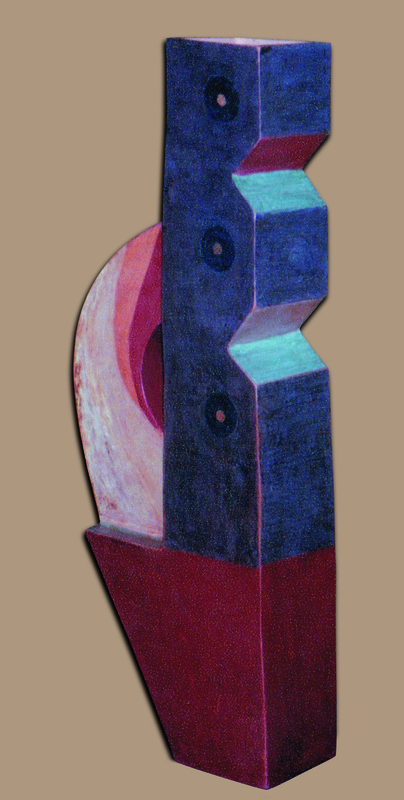 Their ceramic kept the geometrical tendency combined with a vivid polychrome. 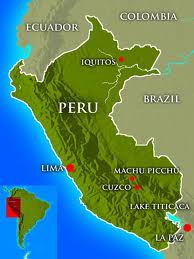 The influence of this culture covered all Peruvian territory during its hegemony. 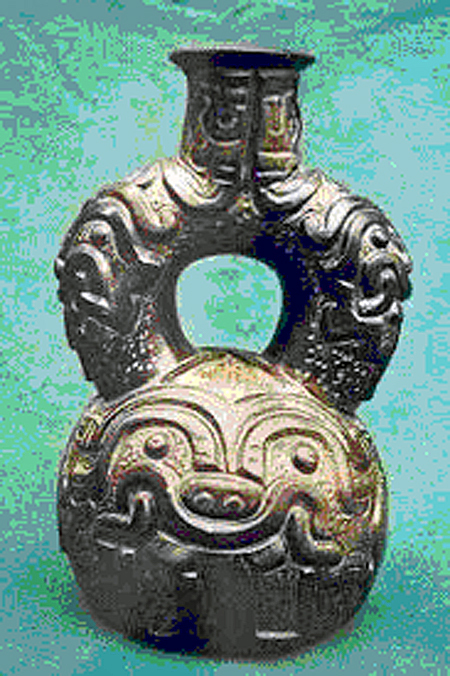 Along the disintegration of Huari all different regions came back to their respective artistic patterns integrating in their way elements of this important culture.
. From the southern coast : Ica – Chincha Culture. These kingdoms and confederations were conquered by the Incas on XV century, when they ended. 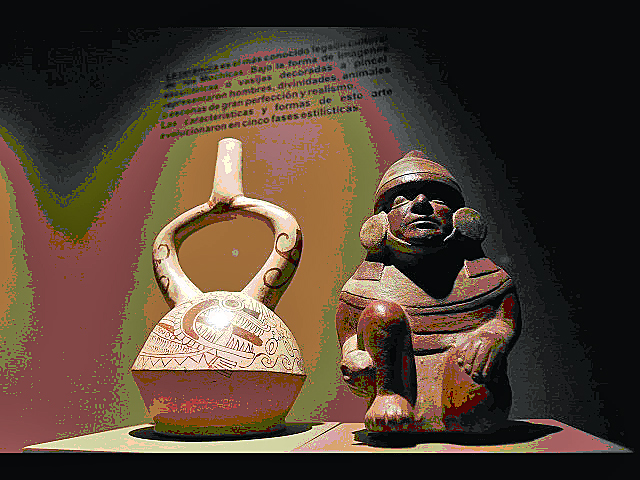 CHIMU CULTURE – The ceramic of this culture was essentially sculptural with predominance of black color on their fine polished pieces, most of them crowned with stirrup holders. The capital of Chimu was Chan – Chan in the actual Trujillo city, considered the center of the last great kingdom that proceeded the conquer by the Incas. 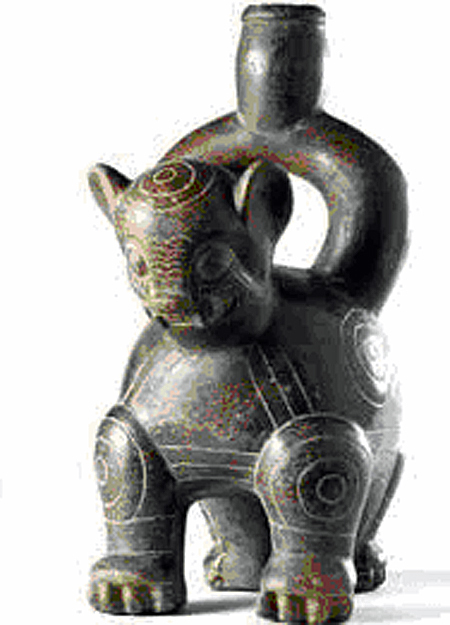 CHANCAY CULTURE – From the north of Lima city, their production registered a variety of shapes in pottery with religious themes and representation of faun and flora in the designs as well as black decorations over white painted pottery. 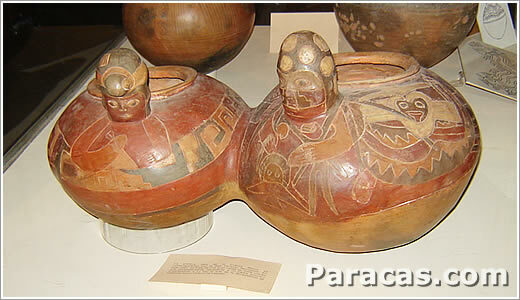 ICA – CHINCHA CULTURE – Well known for its fine polychrome ceramic. The simple shapes of their designs had a geometrical character with a singular order in the patterns combining a sober scale of colors. From 1400 to 1532 AC. Defined by Inca Culture. INCA CULTURE – At the beginning of XV century the Inca kingdom from Cuzco defeated their neighbors and then began the military conquer of all Andean territory, constituting the great Tahuantinsuyo Empire. Their ceramic had a limited repertory of shapes but decorated with naturalistic stylized designs with geometrical predominance. The most known piece of this period is the Aribalo, a big pot of severe design and sober decoration. I would like to thank you Herminia for all the help you provided in researching material that we are able to share today!!! Herminia Haro was born in the northern city of Trujillo, Perú and started drawing since her early childhood – mostly in Primary School. Completed High School she moved to Lima to study a career in Finance and accountancy. Along the first year of University study she realized it wasn’t for her, instead of this, she graduated as she’d promised to her parents. Soon she alternated office work with the study and practice of ceramic, drawing and painting. While learning ceramic her admiration for Peruvian Traditional Pottery increased exponentially, singular lines and designs of most of the cultures captured her and became a constant inspiration to her work. She quit her office job on 2001 in order to take care of the health of her child but continued doing Ceramic and painting. Art became her inherent to her daily life, she persevered and never look back. Theme: “Ingenuous Moments”, April 1999. Issue : “Design and new forms in Ceramic”, 2008. Wow! Fine pieces! The proof is for being fed with tradition is no obstacle to achieve something quite from nowadays. Bonjour Didier good to hear from you. Yes as group we each represent the best in our field of arts. We have a habit to walk around with our eye close and not notice rich talent that is alway around us all the time. Let this be a wakeup call for all of us to seek beauty from your fellow members. I take this opportunity to open the platform for our Question-time? The Blue is Herminia herself; Pure; simple; sensitive; smiling even under some sorrows; as art helped her to engage into Universal Truth of creation..
She needs more expose to the media and Sunil may like to email this interview to Art Media. Hermia You are a True Artist; I am delighted to be introduced to Peruvian eras- culture; would like to more about other Peruvian arts; Paintings; Music and others. Good morning Ranjan hope you are enjoying a pleasant restful and peaceful Sunday, thank you for acknowledging our interview. It is up to each one of us to spread the word and to bring this dream come true. If each member of Globalization ICAS help with this and show your support to use all means available through our own connection that will go a long way in making a good start. I am appealing to all art editors’, art critics, journalists, art buyers, art collectors, art galleries, Museums and sponsors of International. Thank you so much Sunil for giving me the opportunity of show my work and let the world know more of Peruvian ancient pottery. Thank you dear fellows members for your kind words. Ranjan, glad to hear you’re interested in other Peruvian Arts. I’ll do my best to let you all know. Herminia beautiful WORK ,thank you for sharing it with us and Sunil you did a great job presenting this hidden art treasure and exposing it to light .Herminia keep up the good work . It is always a pleasure to hear from our regular and active members of GICAS, and also an opportunity to share a joke together. Hello to Nikolas thank you for your kind words but when you have a lovely organisation that we have here as one Global family. You cannot help yourself of sharing your feelings with the rest of the family members. This is what creative mind do best!!! Nikolas, good to know you like my work and very happy to know new friends. Maybe in a near future we could make an examinations of the cultures we like the most (as Peruvian) and try to find the refined art from their designs and take them as an inspiration in our own work. As Sunil says I’ll be delighted to answer questions. 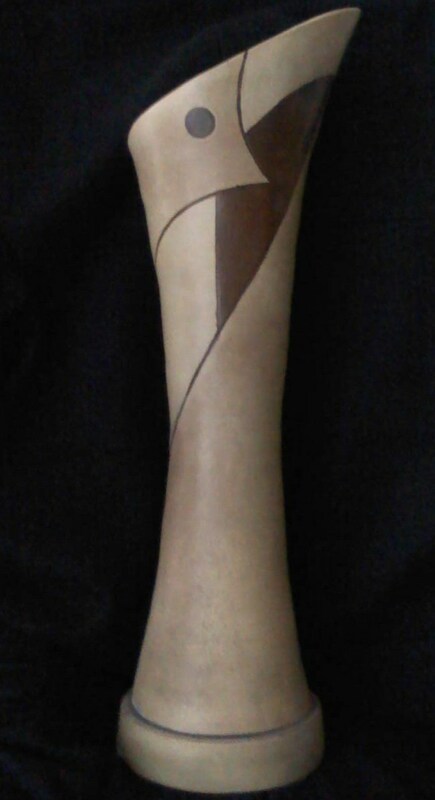 look at this page http://www.namuseum.gr/collections/vases/geom/geometrical03-en.html Another point that is worth noticing and you can find it today all around on the hand made hats of the Andes people is what you call the Greek key. Do you know of any historical research on the subject ? 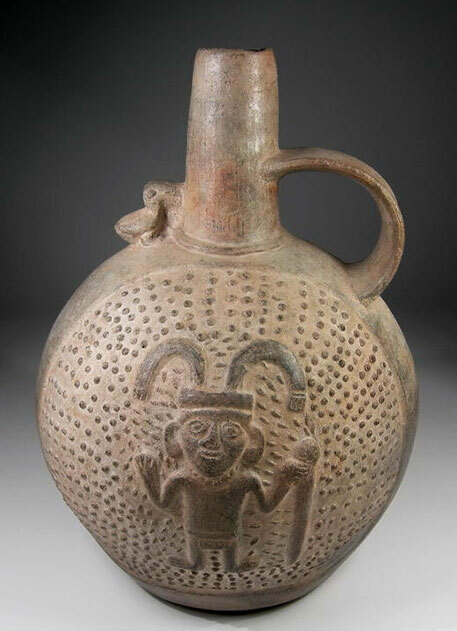 I find the ica chinca culture very ahead in their designs ,very different to other southern American artefacts . 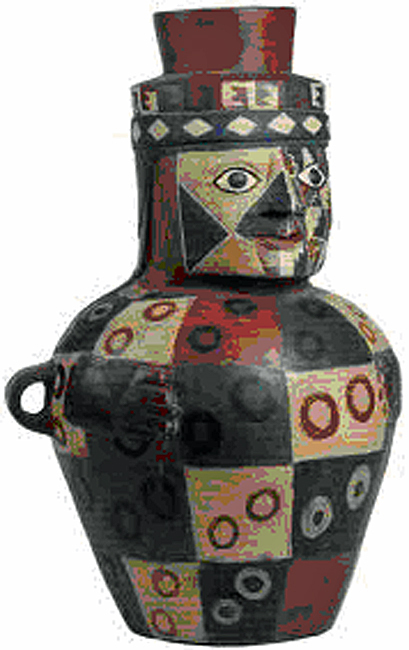 It’s incredible the similitude between vases from Greece and the pottery of Chincha Culture. Both with geometrical designs, similar necks and earth sober colours, thanks for the link. About the hats of Andean people there is a long story to tell. In the prehispanic period every man and woman weaned their dresses and hats even their hair according to their lineage. Hopefully that tradition didn’t lost and now we can see in every region of Perú the differents dresses with geometrical designs and very colourful but the difference is because the region not the lineage. You can see: http://perufolklorico.blogspot.com/2010/08/lo-nuestro-trajes-tipicos-del-peru.html About the Greek key, I think you must be referring to the “chullos”, that is a typical cap made of alpaca wood and with geometrical designs very similar to Greek key. This cap is still used by the people in the Andes to protect from the cold weather and is a success in sales. I have one. Good morning Nikolas and Herminia is it wonderful to discover connection that existed between the two civilizations, similarities with art and cultural development. Perhaps a question to Nikolas is ceramic pottery still an important in Greece? Another question to Herminia not long ago I interviewed Shiho Kanzaki Japanese ceramic potter were their pottery was a symbol of the Japanese people. Their pottery provided many functions to develop their culture and tradition and still continue to play an important role today. 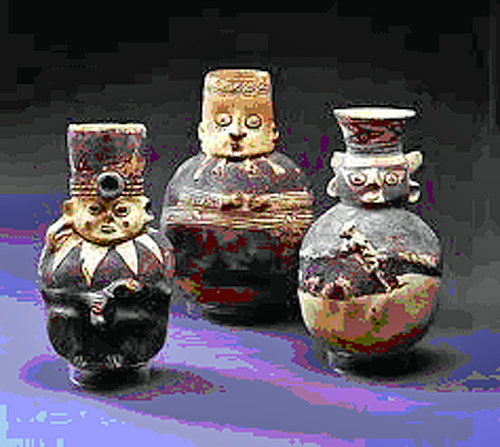 Do you believe this maybe also the answer to revive and develop ceramic pottery within the Peruvian people? Thank you Sunil for posting this interview and for to invite to take a look to the Great Ancient Peruvian Civilization, Inca and Preinca. It’d interesting to know wich period the majority likes the most. Good morning to all our members around the Globe, hope you had a restful weekend.., Yes !! Herminia all our interviews are special in their own way to bring forward ART from every sectors, same time share and involve our GICAS members to exchange their culture that is rooted also in their ART. So lets us all participate in this mini census to get your views!!! A very beautiful and important presentation. Herminia’s decision to quit management careers and to become an artist is successful now because your artistic creations are probably treasures to the art world. Herminia is too an excellent model to the new generation struggling to take better decisions about their professions. If we study Herminia ceramic works carefully, we can find those are not only creatively generated but also aesthetically ‘infused’ with the fabulous Peruvian tradition and culture. Mr. Sunil’s splendid talk to Herminia about her life and art is too touched as excellent. Congratulations! Pushkin welcome to our creative lounge thank you for your comments to Herminia..,As I was born and grew up in Africa I also understand the struggle Herminia has to go to establish a name for herself plus receive true value for her ART. As members of Globalization ICAS we all have a role to play to help in anywhere possible to support and spread the ART to wider market. The main area that concerns me is Peruvian pottery should be taught and encourage to younger generation to better understand their culture & heritage. Working closely with members like Herminia we hope we could help to develop a long term program to reverse the problem.. Thank you Pushkin and Sunil for your opinions about my work and the works my ancestors from ancient peruvian cultures had given to the world.. Thank you both for light up my day. The existence of ‘ceramic art’ by our ancestors thousands of years ago is now a teeming artistic prospect. For example the ‘Venus of Dolni Vestonice’, created Before 25,000 BCE by unknown artist to ‘Pieza ceramica 1’ by Herminia Haro of Peru is an amazing transfiguration of the history of ceramic art. ‘There is a long history of ceramic art in almost all developed cultures, and often ceramic objects are all the artistic evidence left from vanished cultures, like that of the Nok in Africa over 2,000 years ago. The oldest ceramics known in the Americas — made from 5,000 to 6,000 years ago — are found in the Andean region, along the Pacific coast of Ecuador at Valdivia and Puerto Hormiga, and in the San Jacinto Valley of Colombia; objects from 3,800 to 4,000 years old have been discovered in Peru. I likes all ceramic art especially by individual ‘creative/artists’ (rather than mass products by factories for decorative determinations). Introduce ‘Ceramic Evolution’ as a brilliant subject/activity to the existing and coming generations to understand the wonders our ancestors has been created, possibly in hostile circumstances and limits rather than wasting precious time and wealth for ‘marketed’ visual junks and devices. The world should be proud of Herminia Haro for her creativity and long struggle for the wellbeing of Pottery and Ceramic Art. I am amazed at the this Centuries old art; I am delighted to be introduced to a new culture and the art; and to Herminia for her excellent art. I read again and again the interview and appreciated Sunil’s knowledge and style of interviewing. Herminia your Blue color preference shows more then Purity; it shows the Birth color of the Universe… The creation. ; Pure; Sublime and simplicity. As I reflect movement in art, two major artists come to mind that have looked to past cultures and through the influence these cultures had on them they produced works that have influenced art around the world for over a hundred years. Vincent Van Gough looked to the Japanese culture and Pablo Picasso looked to African culture. Herminia, I see your work following that tradition of influencing other artists. Peter, I think there are many Ancient Art that is not known for the mayority and they deserve to be recognized by artist because they ‘re the pioneers and had influenced in many of us. Our big ICAS family is helping and I’m so proud. Many thanks to Hermina for following your creative passion and for sharing these amazing works of art! And thank you to Sunil for the in depth interview and the amazing historical information! I am going to post this article on Linked in (3200 members) Twitter (1650 members) and facebook (280 members) I hope this will help to get Hermina’s creations the attention that they deserve! Wonderful art work! Wishing you much happiness and success in all you do Hermina! I am placing the interview on Google + which has lots of intellectual persons. Thank you for sharing Ranjan. I congratulate myself for joinig ICAS and find such amazing friends. Thanks ICAS for this wonderful experience that allows me to contact you all. Feel free to ask. I’ll be happy to answer. Wow I’m so sorry I missed this interview, it was a pleasure for me to read and a real delight to my eye. The work of our ancesters has always called to me & I love the simple, pure lines in this pots/vases. Also the connection to certain Greek pottery. The minute I read this I could see the similarities in my mind. I want to listen, see & comment on the next interview. Wonderful, enlightening & I learned new information. Dear Edgar don’t worry. Translation errors occur more often than we’d want. I’m glad you’ll experience the clay work. You have to tell me how you go. You’re right, some situations make me feel old but others make me feel young.That’s life. Please, consider me your friend more than your boss. Wow! It is absolutely stunning art works! Congratulation to you, dear Herminia Haro! I love ceramic so much and always admire of the beautiful pieces of true masters of ceramic! Lets God bless you creative soul and your hands, Herminia Haro! Thank you Elena!, I’m so glad to receive such a good comment and to share the love for ceramics with you. Thanks again! tradition!!! Thank you Sunil Vilas too!